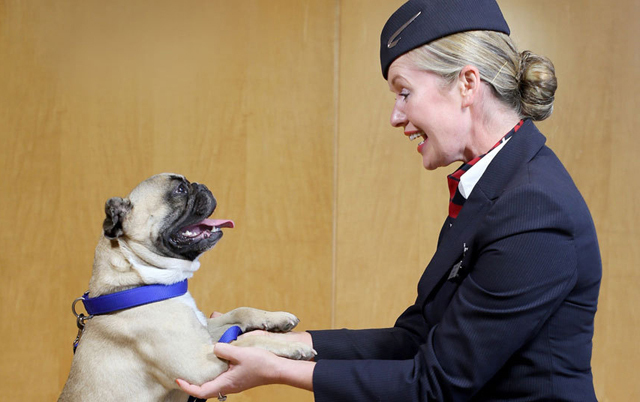 British Airways has unveiled its new range of entertainment for animal lovers, to help them feel less rough in the air. The UK flag carrier is adding a new channel dedicated to cute, furry pets called ‘Paws and Relax’. From take-off to landing, passengers can immerse themselves in footage of four-legged friends, with popular shows like The Secret Life of Cats and America’s Cutest Dog, along with popular British cartoon, Simon’s Cat. Due to launch in September, the new offering has been set up in partnership with Battersea Dogs and Cats Home. The channel will feature some of the shelter’s pets available for adoption, such as Alfie the pug (pictured below). “The idea for ‘Paws and Relax’ TV came when we were doing some research about different types of content – content that will help our customers to relax and enjoy their flight,” explained Richard D’Cruze, in-flight entertainment manager for British Airways. “We discovered some scientific research that proves watching images of cute animals can actually lower your heart rate and reduces stress levels,” he said. Paws and Relax comes as part of the airline’s new “Slow TV” initiative, which is designed to help flyers relax. A Restaurant with a View! Recently voted the world’s most popular landmark, Machu Picchu is also the perfect spot to sample truly authentic Peruvian cuisine. And nowhere can you do this in such comfort and style as at the Tampu Restaurant of the Belmond Sanctuary Lodge, the only hotel located at the ruins. 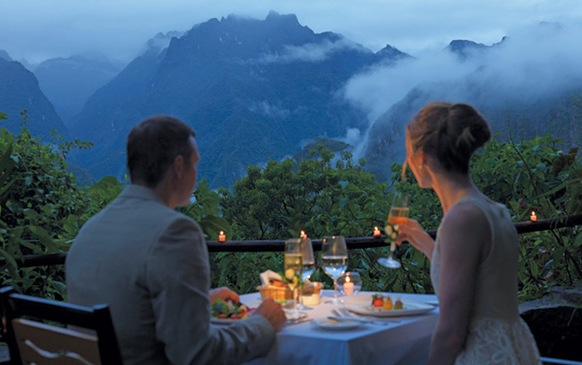 This fabulous restaurant offers Andean specialities – and a view of the surrounding scenery that will take your breath away! • Be flexible: As much as you might want to plan every minute of your itinerary there are always things that may not go quite to plan. Your driver may have to take a different route than planned which ends up taking twice as long. Or the rural road you are travelling on could become blocked due to livestock or flooding, causing you to have to turn back and reroute. Having a Plan B is well worth it. • Cover up: It is best to avoid wearing revealing clothes if you want to avoid unwanted attention. The kind of things that westerners may consider conservative may still be thought of as revealing in India. It’s best to take a few items of clothing with you and buy some items whilst you’re in India. Indian clothes will keep you modest as well as keeping you cool as that is what they are designed to do. 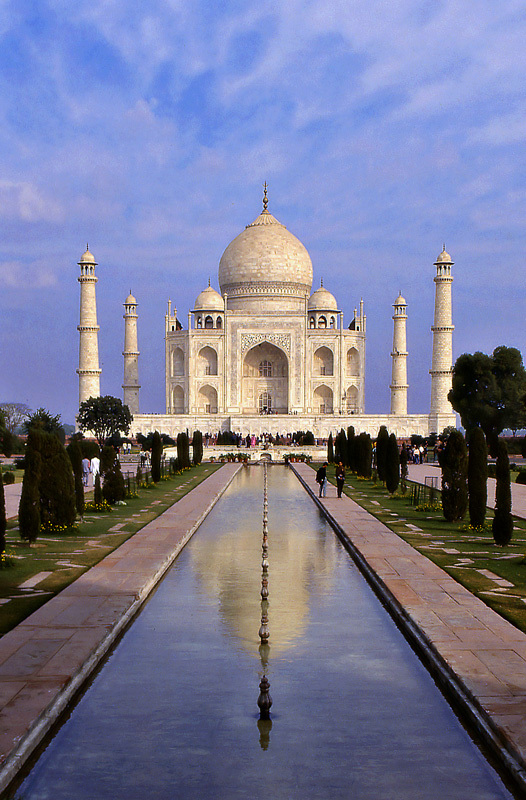 • Prepare for sickness: Before travelling to India you’ll need several vaccinations which your GP can advise you on. Whilst you are there, however, it’s almost inevitable that you’ll catch some sort of stomach bug. Take anti-sickness and anti-diarrhoea medicines with you and carry around a hand sanitizer to keep germs and bacteria at bay. You can avoid getting sick by only drinking bottled water; if you feel adventurous enough to try street food make sure it is cooked fresh in front of you and hasn’t been sitting there for a while. • Be careful on the roads: India’s roads are a little more hectic than what you may be used to! Buses, rickshaws, bicycles, cars, cows – you’ll find them all on India’s roads. Be careful as you cross the street as drivers may not be looking out for pedestrians and potential hazards! • Lower your standards: Don’t go to India expecting the same standards of cleanliness that you find in the UK. It’s commonplace to see large piles of rubbish in the streets, and everything will be much dirtier than at home. Carry tissue and hand sanitizer with you as you may not find toilets equipped with tissue paper. With a population of around 8 million people, Quebec is Canada’s largest province, and is the only one with a majority of French speakers. 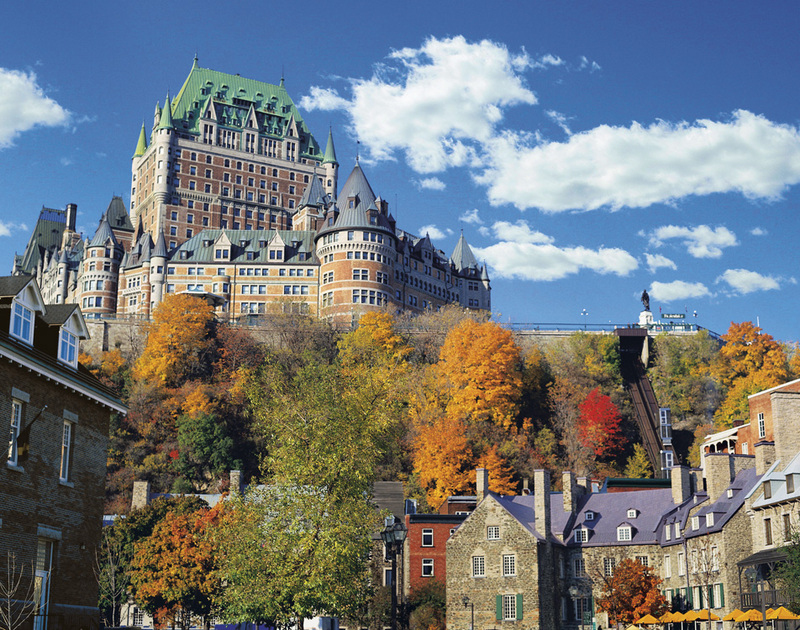 Canada as a whole is a fascinating place to visit, but it’s this historic French-speaking province that really intrigues many people. Quebec’s capital Montreal is only around a seven hour flight from the UK so it’s perfect for a short holiday or even a romantic weekend getaway. • Fairmont Le Chateau Frontenac, Quebec City: Also known as the world’s most photographed hotel (pictured), this stunning, multi-turreted sentinel overlooks the only walled city in the continent of North America. Relax in the Bar St-Laurent at the hotel, and enjoy a signature martini whilst taking in the view of the St Lawrence River. • Go sledding: Just 200 metres away from Le Chateau Frontenac an epic 82 metre high ice slide, Les Glissades de la Terrasse, is built every winter. Drag a toboggan up to the top and fly down the slope at breakneck speeds! • Visit the Ice Hotel: If you’re in Quebec between January and March a visit to the Ice Hotel is an absolute must! 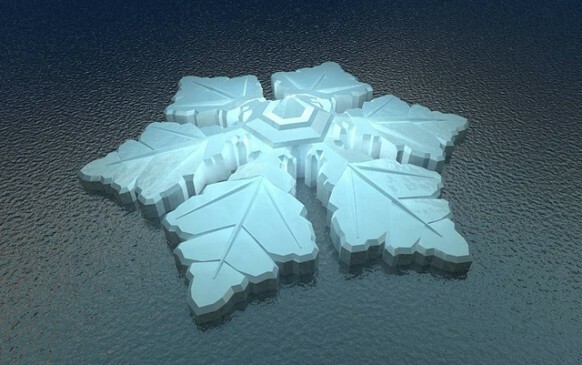 The Ice Hotel, or Hotel de Glace, is built from scratch each year completely out of ice. Regular daily tours are run, enabling tourists to take a look at the suites in the hotel, and finish up in the bar where you can sample a maple cider in a glass carved from ice! • Attend the Carnaval de Quebec: From late January to mid February Quebec celebrates hard! The first rule is to wrap up warm, temperatures can reach minus 20 centigrade! The second rule is to prepare for the time of your life! The plains of Abraham become a giant winter playground full of sledding, huskies and hot tubs. • Admire the architecture: Beyond Old Quebec’s walls you’ll find the Parliament Building; a 19th century building inspired by the Louvre in Paris. It is home to 22 bronze statues of key figures from Quebec’s history, including the city’s founder, Samuel de Champlain. After an informative guided tour sample some local delicacies in Le Parlementaire Restaurant. Whether it’s the Ice Hotel, a luxury tipi or a thermal glass igloo, there is no shortage of innovative ways to see the Northern Lights. For many, the Aurora Borealis ranks highly on the to-do list, and choosing the right place to stay can be a bit of a chore – especially with so much choice. Unfortunately, as of this week, that decision just got harder. 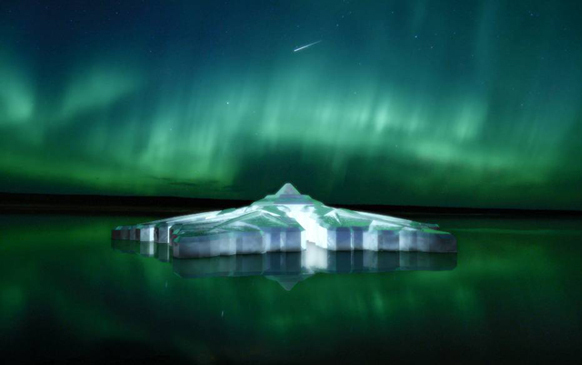 Designed by Dutch Docklands, experts in floating hotels, the snowflake-shaped Krystall Hotel is set to attract visitors in their droves from 2017 onwards, offering Northern Lights hunters yet another wacky hotel concept to consider. Boasting a glass roof, the 86-room hotel will float between fjords near Tromsø in northern Norway; a destination famed for its proximity to the annual Aurora Borealis phenomena. According to the architect firm behind the design, the hotel will possess all of the attributes expected of a five star hotel, while promising “scarless development,” meaning the resort can be removed without inflicting any long-term visual damage to its natural environment. Costs are expected to be almost the same as a luxury land-based hotel, but with an extra 15% budget allocated for the property’s floating foundations. Construction of the hotel is set to start in mid-2015, with a completion date estimated at 18 months later. The fascinating archipelago of volcanic islands known as the Galapagos sits either side of the Equator in the Pacific Ocean, 575 miles west of mainland Ecuador. 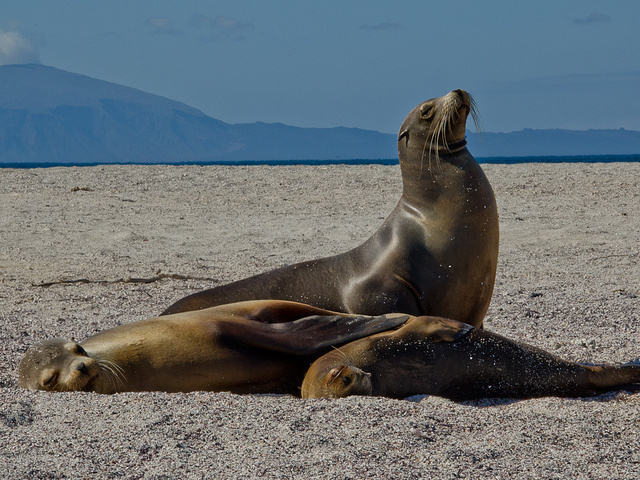 The Galapagos Islands and their surrounding waters, made famous by Charles Darwin’s theory of evolution by natural selection, form an Ecuadorian province, a biological marine reserve, and a national park, all of which attracts thousands of tourists each year. The Galapagos Islands benefit from great weather all year round due to their equatorial location. However, June to December is known as the “dry season” which consists of blue skies and midday showers, accompanied by cooler trade winds blowing up from the south. It is during the dry season that the sea mammals and land birds are most active. December to May is considered the “warm season”, with daily tropical rain showers and cloudier skies. The water is warmer so it’s perfect for snorkelling and swimming. • Clothing: Daytime in the Galapagos Islands is warm so shorts and a loose t-shirt or vest top are ideal. A wide brimmed hat and sunglasses are essential for protecting the face, eyes, neck and ears from the strong equatorial sun. Most boats don’t have a dress code for evenings but check before you travel in case you are required to dress for dinner. One or two pairs of light trousers and a light sweatshirt will keep you warm on deck at night, and a waterproof jacket is ideal to keep you warm and dry as you pass through mountainous Quito. It’s also a good idea to pack a swimsuit or two for swimming, snorkelling or just lounging on deck. • Footwear: A pair of hiking sandals is the ideal footwear to protect your feet from the harsh, volcanic landscape as they can be worn in both wet and dry conditions. If you feel you need the protection that trainers offer then it’s advisable to take an old pair that you don’t mind being damaged by saltwater, rock and sand. • Accessories: Ensure that you pack plenty of sun cream with a high SPF to avoid burning in the scorching equatorial sun. Of course you’re going to be taking your camera, but make sure you pack plenty of spare batteries or the charge cable, as well as enough memory cards to store all of the amazing shots you’ll be getting. A pair of binoculars is also a good idea to enable you to do some distant bird watching as you cruise around. • Money: The official currency of the Galapagos Islands is the US Dollar and it’s recommended that you carry some cash on you for purchases on board the cruise ship. There are ATMs in places like Quito and Puerto Ayora where you can withdraw money. Make sure that any cash you have on you is carried close to your body in a money pouch to keep it safe. • Medication: If you take any regular medication it’s important to remember to take it with you as the Galapagos Islands are miles away from the mainland and medical assistance is a little harder to come by. Don’t forget things like motion sickness tablets in case you don’t get your sea legs quickly when on board the boat. Also when you’re in Quito you may experience altitude sickness since it sits at 3,000m above sea level so it’s important to be prepared and carry aspirin and bottled water with you.